1. Fill a large pan with 1 to 2 inches of water. Bring to boil. Add crab legs. Boil for approximately 5 minutes. 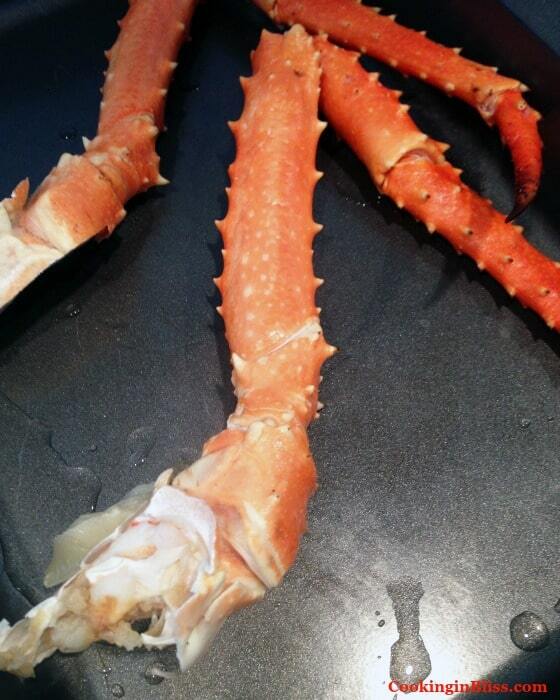 Remove crab legs from water. Set aside and let cool. 2. 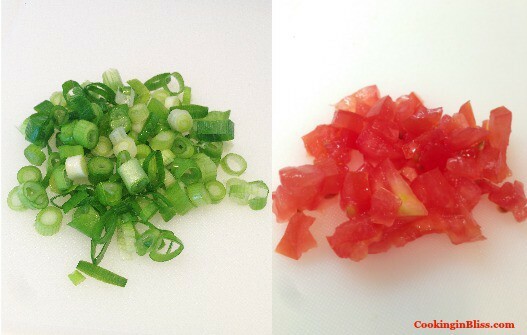 Dice green onion and tomato into small pieces. Slice lemon in half. Set aside. 3. Add butter to small microwavable bowl. Microwave for 1 to 2 minutes or until butter is melted. Set aside. 4. Preheat oven at 250 degrees F.
5. 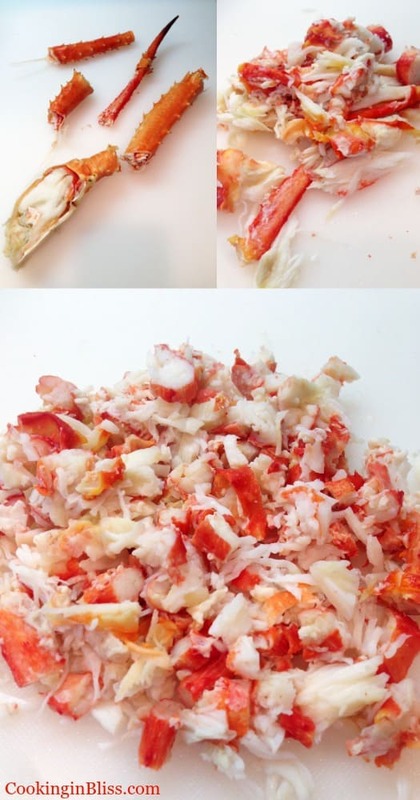 Use hands to break lobster apart at joints. 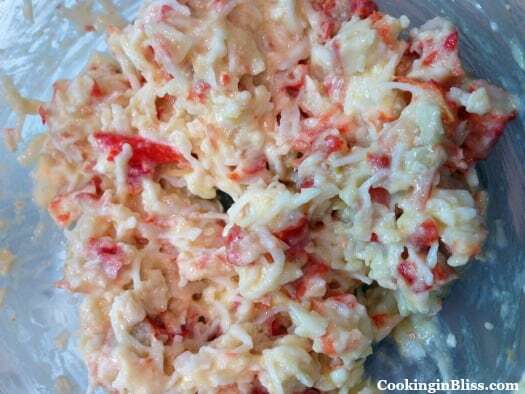 If you can pull crabmeat from shell without breaking further, go ahead. Otherwise, take knife and make one continuous cut down each shell. 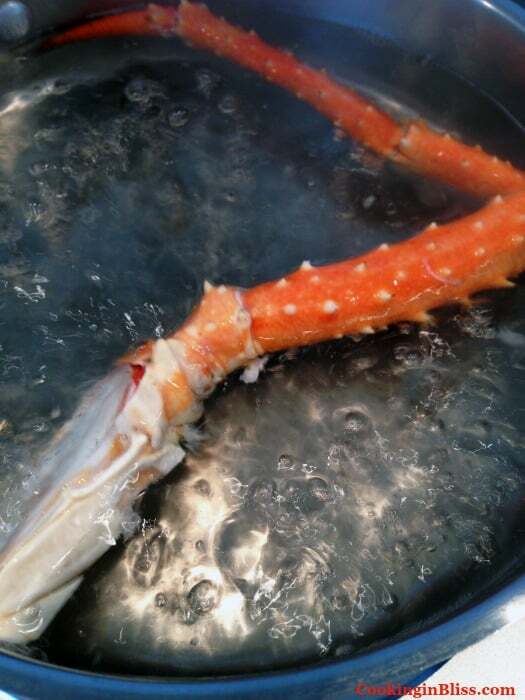 Pry shell open with fingers and remove crabmeat. 6. 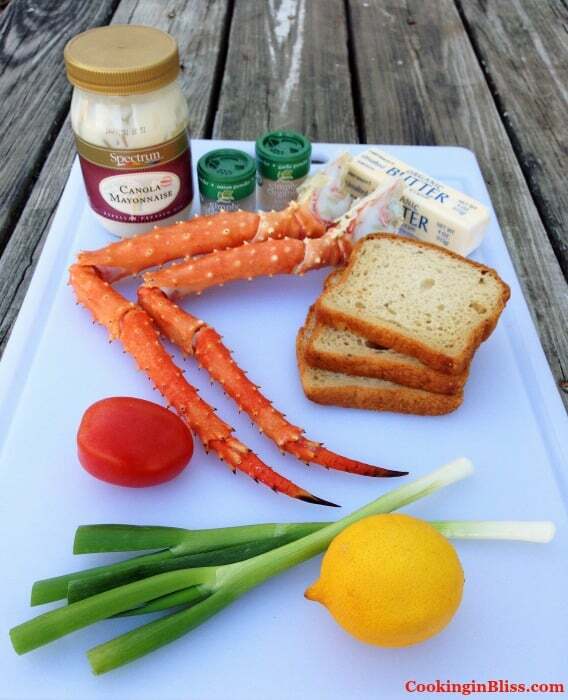 Cut crabmeat into various sizes. 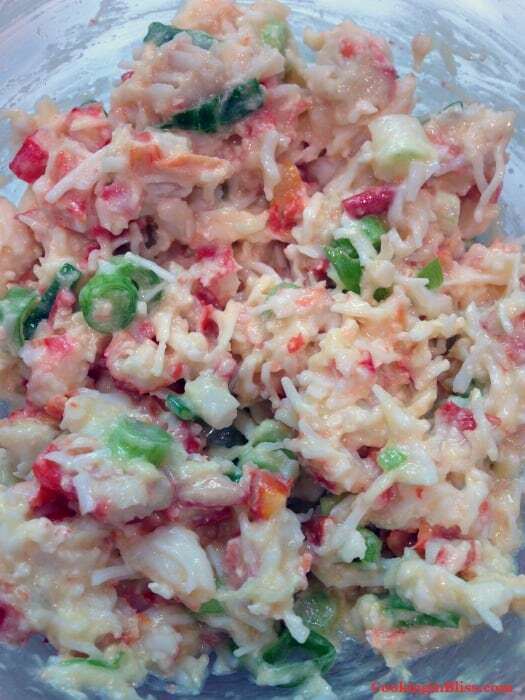 Place crabmeat in medium mixing bowl. Drizzle 1 tbsp. melted butter over crabmeat. Stir. 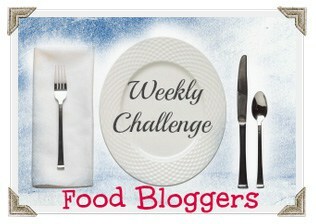 Add diced green onion, diced tomatoes, mayonnaise, freshly squeezed lemon juice, onion powder, garlic powder, salt, and pepper. Stir. Place in refrigerator. 7. 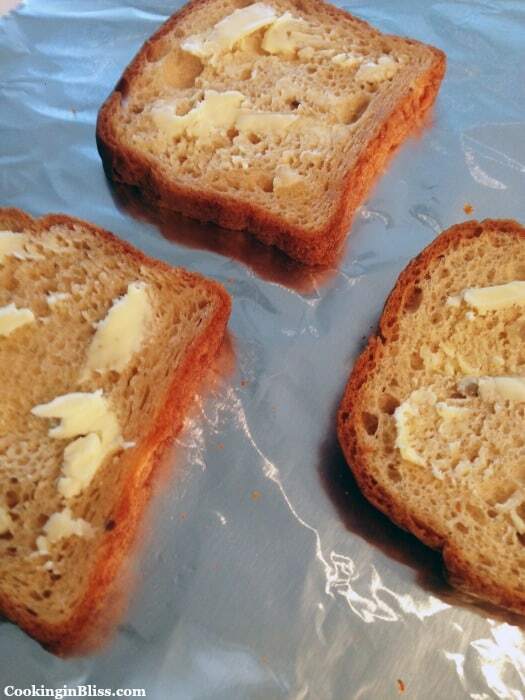 Lay 4 slices multi-grain bread on aluminum foil sheet. Drizzle 1 tbsp. melted butter on top of slices. Place in oven for 3 to 4 minutes or until just crispy (rotating sides halfway through). Remove bread from oven. 8. Flex bread into shape of hotdog buns. Scoop crabmeat mixture onto bread. 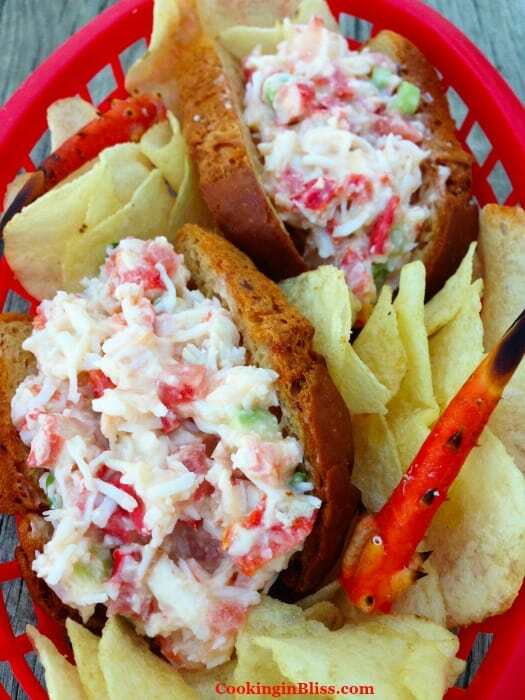 Plate your crab rolls onto serving dishes and enjoy this seaside staple! 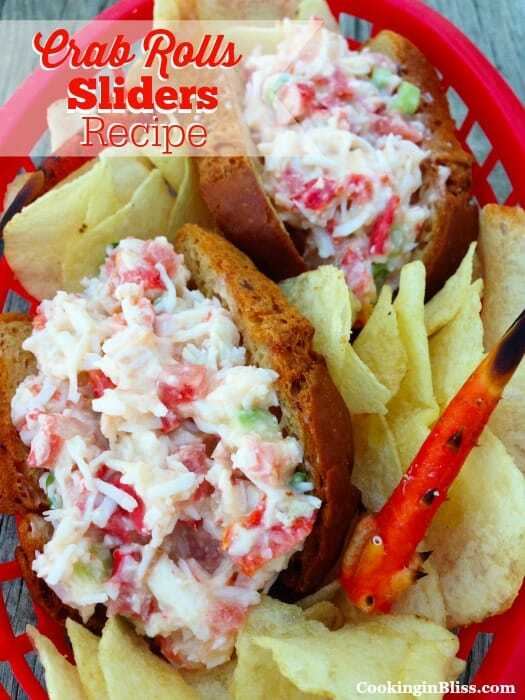 Best served with potato chips and an ice-cold beer or orange soda.